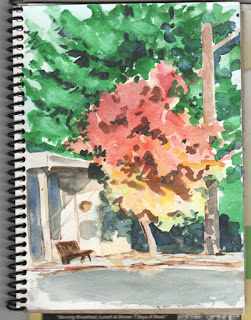 Studio Notes: Tree by the Bank, Vashon Town--Finished! I didn't let the winter dark stop me after all. I finished this by studio light. I wonder what the colors will look like in daylight tomorrow! You know, I think I should have been more careful of the straight lines on the building's roof. It just doesn't read right. 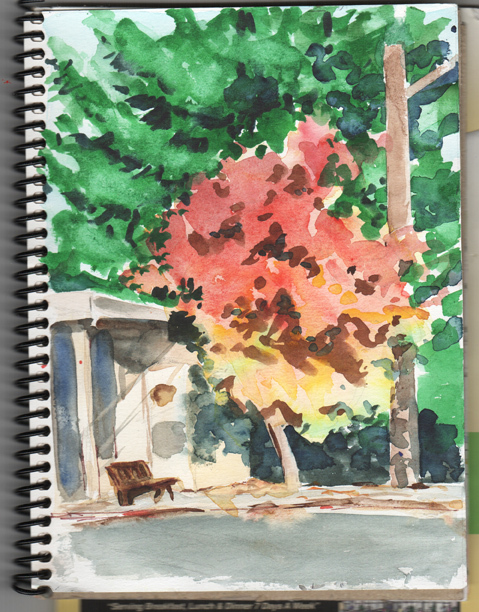 I like the shadows, though, and I'm glad I decided to include the bench. I love the tree colors!